Time and time again we get questions relating to door repairs so we’ve attempted to answer the most commonly asked questions for you here. 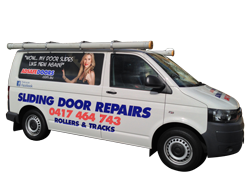 There is a chance that your specific questions aren’t covered here and if that is the case, don’t hesitate to contact us direct in Sydney on 0417 464 743 for any of your door repair questions. What are the most common door repairs? We find at Adsafe Doors that the most common repairs are sliding door repairs, sliding window repairs, door closer repairs for commercial and domestic situations. The most common sliding door repairs are for glass sliding doors, cavity sliding doors and wardrobe sliding doors. 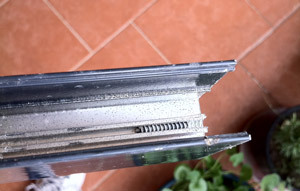 The most common sliding window repairs are for aluminium sliding doors. Door closer repairs are varied but mainly include home units with slamming front doors. So we replace the door closers. Should I replace my jammed door or get it repaired? Most doors can be made to work properly with a simple door repair. But when rot or corrosion is excessive, replacement may sometimes be the only option. How long do door repairs take? Door repairs for Sliding Doors usually take about 2 hours. And door repairs to door closers can range from 30 minutes, for a repair in an apartment to about 6 hours on commercial door closer. Should I get my door repairs done by an expert or do it myself? Generally speaking you should use an expert to carry out your repairs. And door repairs are no different. We find that DIY and the local handyman is very often the cause of a lot of the problems associated with a door repair and this is because they have no training. Always remember that an expert has training and experience and a network to confer with to do the repair. I have an aluminium door which needs a door repair because it just won’t open or close properly and the lock wont line up and lock. Can our door be repaired? Door repairs in this situation usually require the removal of the door enabling a repair to done and then refitting the door. That aluminium door repair might be done on site or it may need to be taken to the factory for a door repair. We can’t lock the door and the door won’t close properly. The locks loose on the door and we need someone to do a door repair to get it locked up for security. Do I have to get a new door or can it be repaired? If the door won’t close properly it will have to be removed. The door will probably require an adjustment like a trim and then be refitted. For example, with a door repair like this, to a hinged timber door, it is better to remove the door and to plain the hinge side of the door rather than the lock side of the door. Whereas a door repair of this type to an aluminium door only allows a trim to the top and or the bottom of the door. Sometimes a door repair is not required the problem may be rectified by your local locksmith if the look is the only problem. Our front door is sticking and jamming when we open and close it. And it gets worse when the weather changes. A friend who is a builder spent most of a day trying to repair the door but it still keeps jamming. We need a door repair that is going to work, but what can be done? The reason that the door sticks is because minor movement in the foundations causes the walls in your home to move which intern cause the door frame to move a little. Consequently the door gets jammed inside the frame and the door cant open and close properly. The movement of the foundations with changing weather is related to the moisture in the clay. When the weather is rainy and wet the clay expands, pushing the foundations up and when the weather is dry the clay shrinks and the foundations sink. The problem is very common in the Sydney basin area. We can remove and rehang your door and refit your lock to generally fix this problem. We have a door which is falling of the metal frame in the main office. It looks like the top hinge is pulling away from the frame causing it to tear, so we need a door repair as soon as possible because it might fall on someone. Do you do emergency door repairs like this? Your door problem is very common. often the top hinge becomes loose on the metal frame and tears the frame around the hinge leaf resulting in the door collapsing. This results in the door either hitting the frame or the floor when it is being opened or closed.